These recommendations can help PR and corporate communications pros compose quotes that editors include in articles and that people read and remember. Ask the right questions. Before writing a quote, ask the executive or expert questions like: From your perspective, what is the most important thing about this announcement? What were you hoping when you recommended or approved this? How will this benefit our customers? What effect do you think this will have on the company? What will change as a result of this announcement? What would you like to say about the importance of this announcement? Can you share a personal anecdote about this announcement? It’s best to get the executive to voice his answers, not write them. The quotes then come across with more authenticity. Sound like a human, not a robot. Most executive quotes sound like PR deliberately squeezed out any semblance of humanity, writes Lou Hoffman, CEO of the Hoffman Agency, in the Ishmael’s Corner blog. Send quotes through a sound test: Read them and ask yourself if they sound like something a person would actually say. Eliminate buzzwords like “synergy” and “paradigm shift.” “All industries use buzzwords. As a result executives sometimes have a tendency to cling to a few and use them until all meaning has been wrung out. Fluff words mean nothing. They can destroy a quote,” warns Amy Lecza, senior content marketing lead at All Points Public Relations. Drop buzzwords and jargon that can hide the message and instead find the real meaning of what you’re trying to relate. Keep them short. Quotes that run on forever can cause readers to lose interest, forget they are still reading a quote and even forget who was speaking. Sentences should likewise be short, about 10 words each rather than 30. “If you have a lot to say in a quote, break it up or spread it around throughout the press release,” Goldsberry suggests. Be creative. Strong verbs and unusual language helps make quotes more memorable. As long as your spelling and punctuation are correct, don’t be afraid to be different, Goldsberry says. 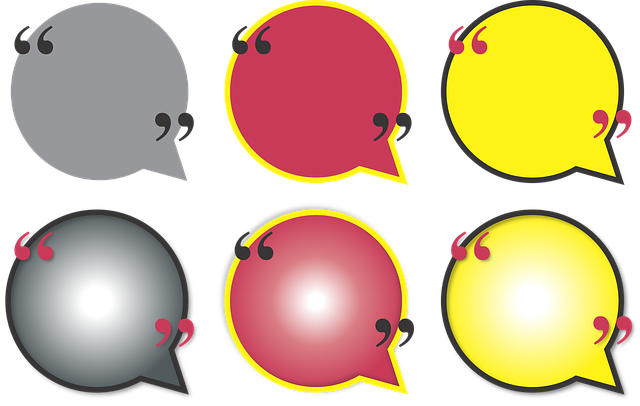 A quote within a quote, ellipses and other grammatical and writing devices are all fair game – whatever it takes to get your quote noticed. Add value. Good quotes add value to the story. They include statements that a nonbiased media article cannot. That could be opinion, an interpretation or a unique perspective. Read the news release draft without the quote and ask yourself if the release lost any significance or if you need to rewrite a passage to restore meaning, suggests Lauren Edwards, founder and principal of WriteCulture. If you answer no, the quote lacks value. Avoid clichés. Spurn words such as delighted, pleased, excited, and proud to. They lack news value and add nothing, Edwards adds. Summarize the entire topic in 10 words or less. Bottom Line: Vibrant quotes can transform staid news releases and other PR content into memorable stories. They offer the best device to add flair to news releases and other PR content, yet most executive quotes fall flat. Quotes with an authentic voice or opinion, special insight or shock value that knock ’em dead.